Located in Washington, D. C., at the western end of the National Mall, this four-sided stone structure (modeled after a classic Egyptian obelisk) honors the "Father of our Country," General, Founding Father, and the first President of the United States (1789-1797), George Washington. At just over 555 feet tall, the Washington Monument towers over everything in Washington, D. C. and is one of the tallest masonry structures in the world. Memorial stones from the 50 states, foreign countries, and organizations line the inside walls. Fifty flags surround the base of the Washington Monument and symbolize the 50 states of the Union. If you take the elevator to the pyramid top, windows in the observation room offer views of the Lincoln Memorial, the White House, the Jefferson Memorial, and the U. S. Capitol. Located between the Washington Monument and the Lincoln Memorial lies the Reflecting Pool. This 2000 x 160 foot pool contains 7 million gallons of water. It was modeled after similar pools at Versailles and the Taj Mahal. The design of the pool minimizes wind ripples and sharpens the watery image of the Washington Monument. Ever wonder why the flag is red, white, and blue? While the flag’s colors did not have a specific meaning at the time, the colors were significant for the Great Seal of 1782. Colors were carefully chosen by the Founding Fathers. Red represents bravery, white represents purity, and blue represents justice. Take a look at the various flags of the world. Use the color key below to determine the characteristics each country is trying to convey with their flag. Directions: Using the color key and the space provided below, design a flag for your family. Write a short paragraph that explains why you chose the colors you did and what they represent. The bald eagle is the national bird of the United States. This majestic bird can only be found soaring in North America. The Founding Fathers chose the bald eagle as the national bird because it symbolizes strength, courage, freedom, and immortali­ty. The term "bald" does not mean that this bird lacks feathers. Instead, it comes from the word piebald, an old word, meaning "marked with white." Unfortunately, this magnificent bird faced near extinction. When Europeans first arrived on the North American continent in the 1600’s, there were an estimated 25,000 to 50,000 bald eagles, but populations dropped for many reasons. Many eagles were captured for getting too close to poultry or fishing nets; some were captured for falconry; and many eagles were poisoned by pesticides. 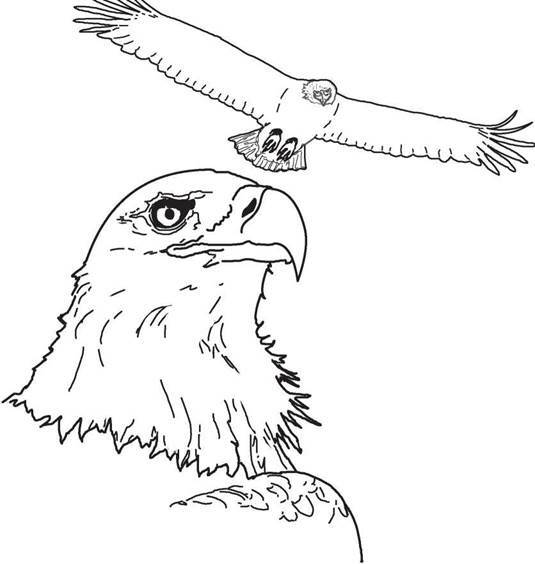 In 1967, the bald eagle was included on the Threatened and Endangered Species List. Federal laws, such as the Bald Eagle Protection Act, protect the bald eagle and have led to the recovery of bald eagle populations. Located on the National Mall in Washington, D. C., the Vietnam Veterans Memorial recognizes and honors the men and women who served in the Vietnam War. The Memorial consists of three parts: the Wall of Names, the Three Servicemen Statue and Flagpole, and the Vietnam Women’s Memorial. The Vietnam Veterans Memorial Wall, designed by Maya Ying Lin, is a v-shaped memorial made of black granite. The names of more than 58,000 veterans who were killed or remain missing from the war are etched into the wall. The proposed design for the Vietnam Veterans Memorial angered some Vietnam veterans and others who felt that it did not convey the heroism, patriotism, and honor inherent in most war memorials. The Three Servicemen Statue, designed by Frederick Hart, was a compromise to that controversy and honors the American mil­itary who served in Vietnam. Some felt something was still missing from the wall. The Vietnam Women’s Memorial, designed by Glenna Goodacre, honors the women that served in Vietnam. 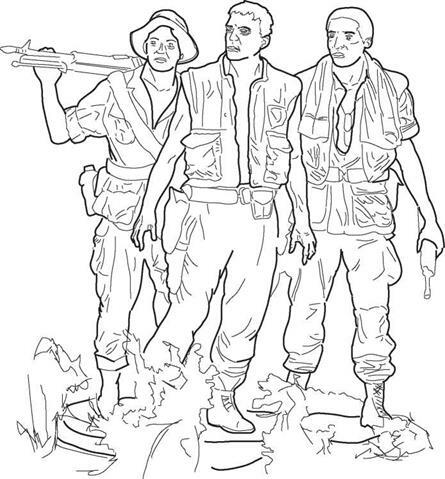 The stat­ue depicts three uniformed women with a wounded soldier. While one nurse com­forts the soldier, another kneels. The third looks to the skies. Cast in London, England in 1752, the Liberty Bell rang when the Continental Congress signed the Declaration of Independence. It has become a symbol of free­dom in the United States and the world. The bell weighs about 2,000 pounds and is made mostly of copper and tin. 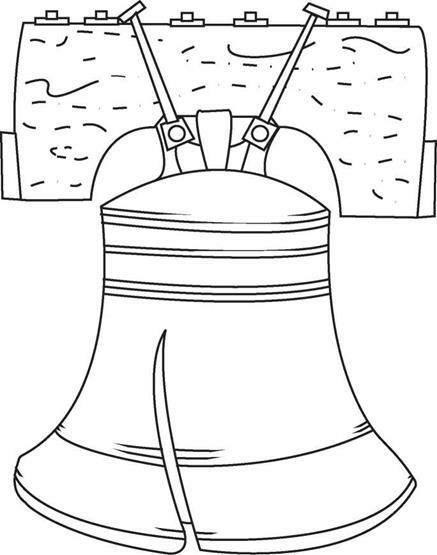 Made for the Pennsylvania State House (now Independence Hall), the Bell was ordered by the Pennsylvania Assembly in 1751 to commemorate the 50-year anniversary of William Penn’s 1701 Charter of Privileges. Shortly after its arrival in Philadelphia, the Bell cracked and was recast. As tradition, the bell was rung on every July 4th and on every state occasion until 1846. By 1846, a new crack had formed that affected the sound of the bell. The last time the bell rang was on February 23, 1846 for George Washington’s birthday cele­bration. Today, the Liberty Bell hangs in Philadelphia, Pennsylvania at the National Park Service Liberty Bell Center on 6th Street, between Market and Chestnut Streets for all to see. Directions: Based on what you learned about the Washington Monument on page 27, complete the paragraph below.